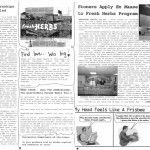 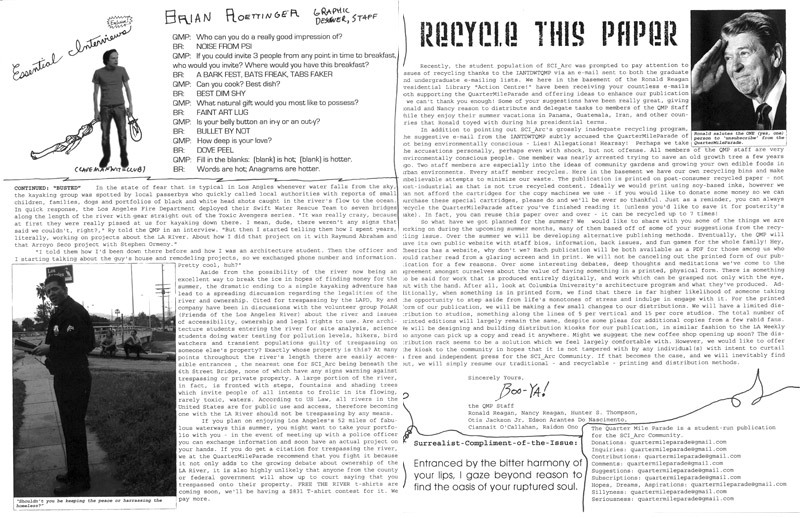 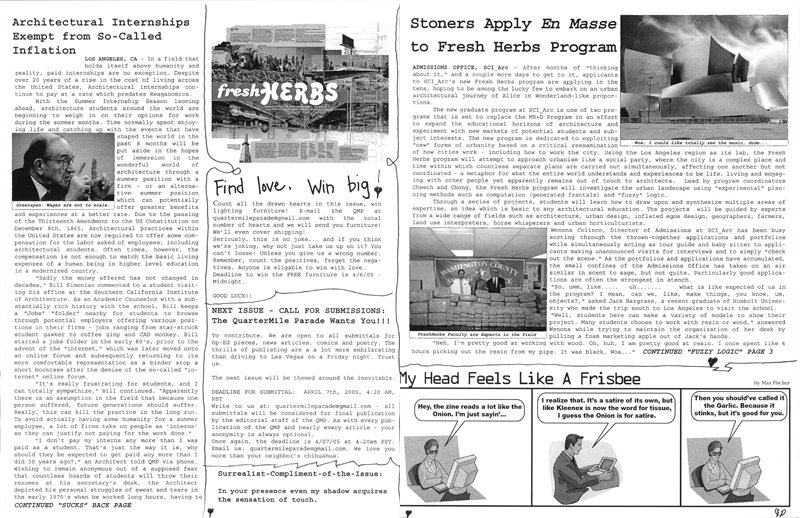 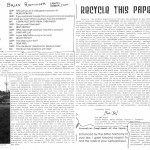 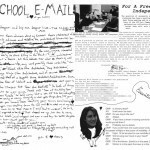 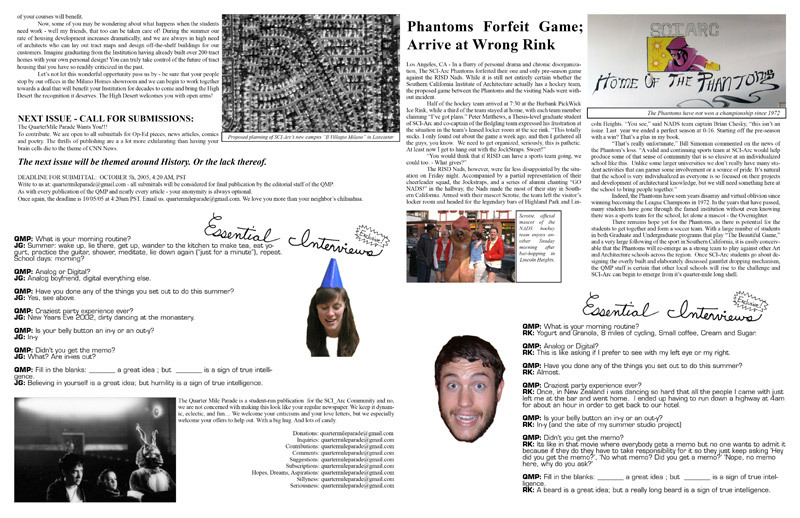 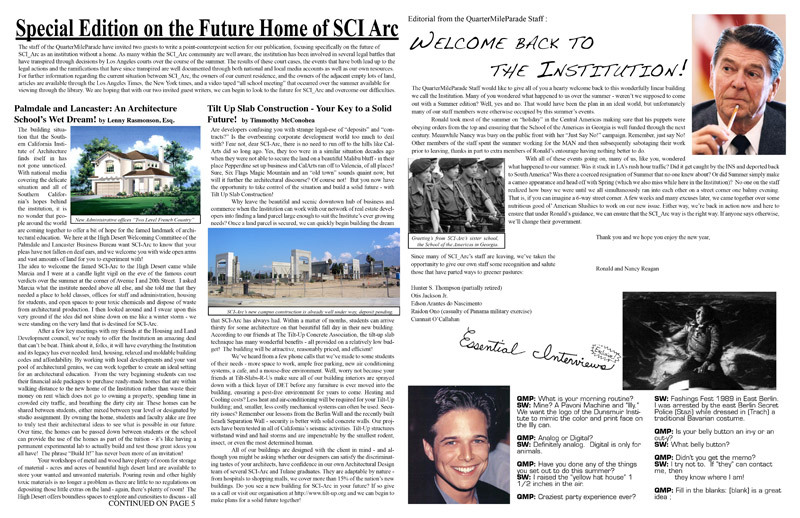 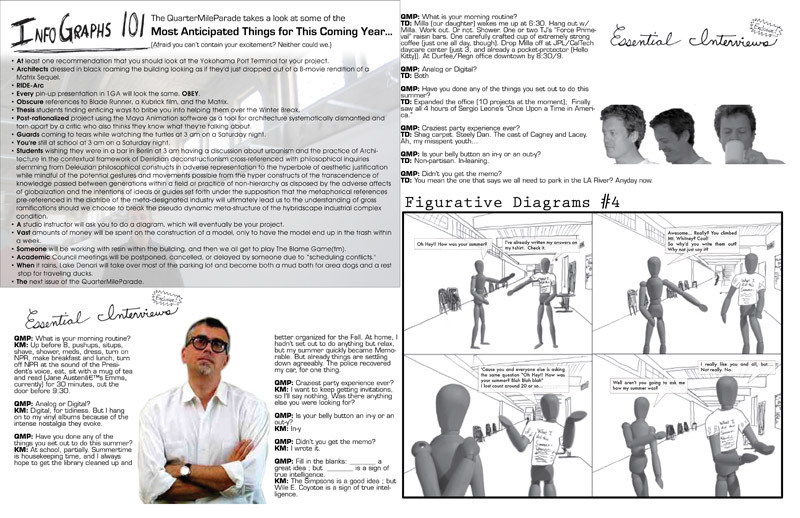 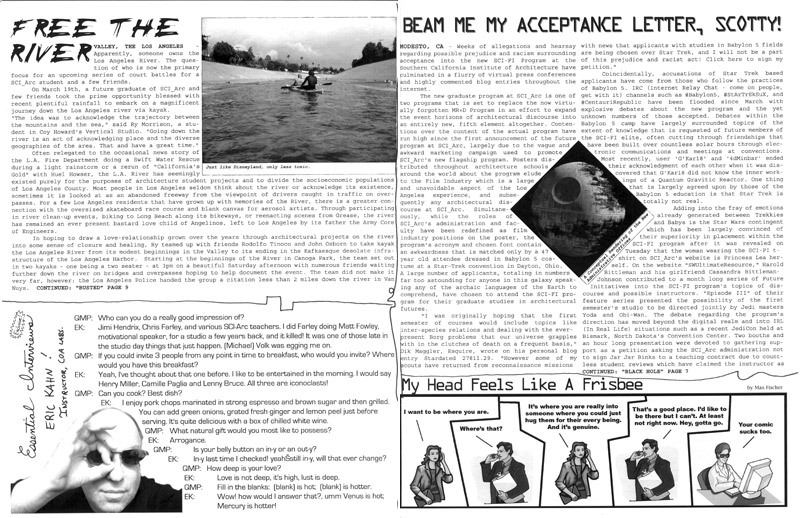 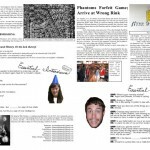 Student run satirical publication for the SCI-Arc community. 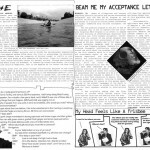 Founded, written, maintained, and produced primarily by myself with the occasional assistance from Gabriel Leung. 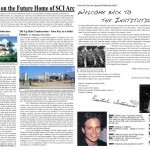 Published often, it had the largest readership within SCI-Arc (compared to any print form whether official or unofficial) and a vehemently supportive fanbase. 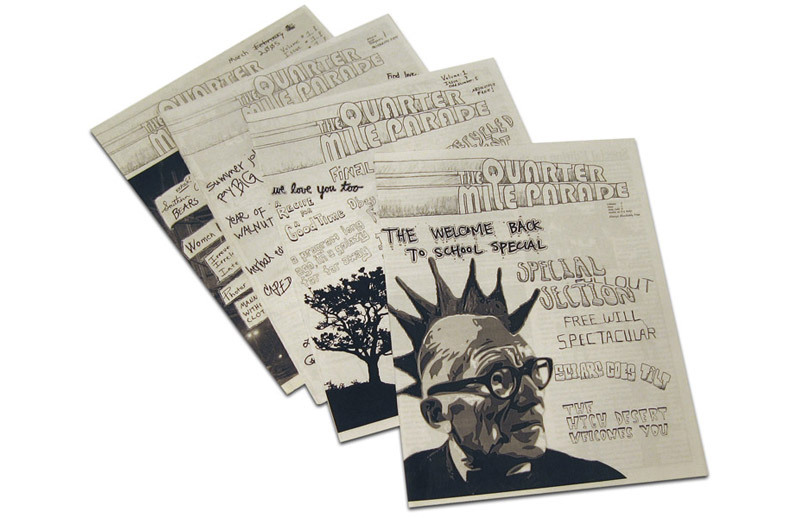 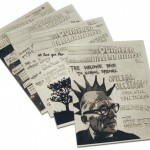 Although produced digitally, the intention behind the design was to give reference to the original ‘punk’ zines that were produced with nothing more than paper, tape, a pen, and a photocopy machine. 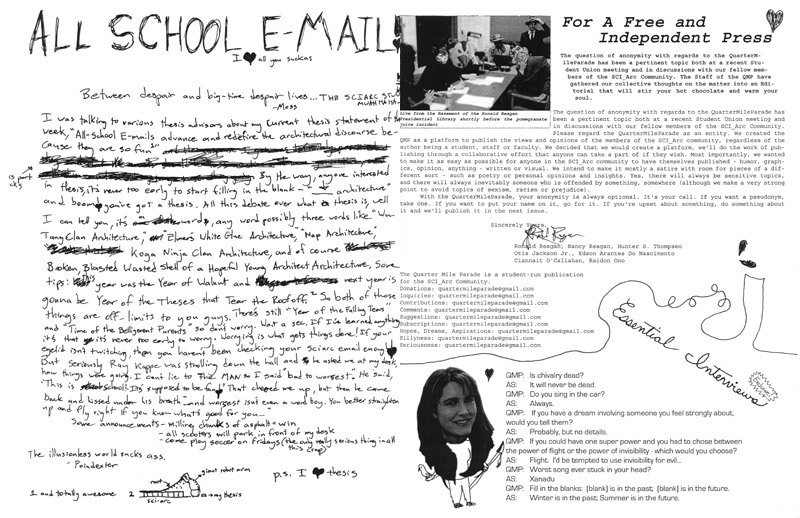 Various large 24×36 posters were produced and distributed throughout the school for advertising.